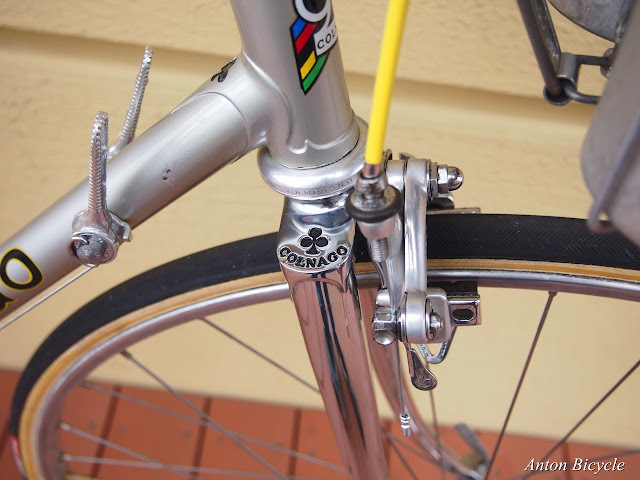 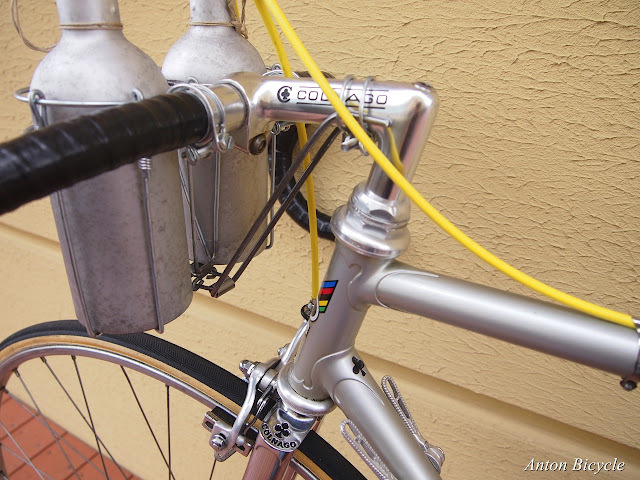 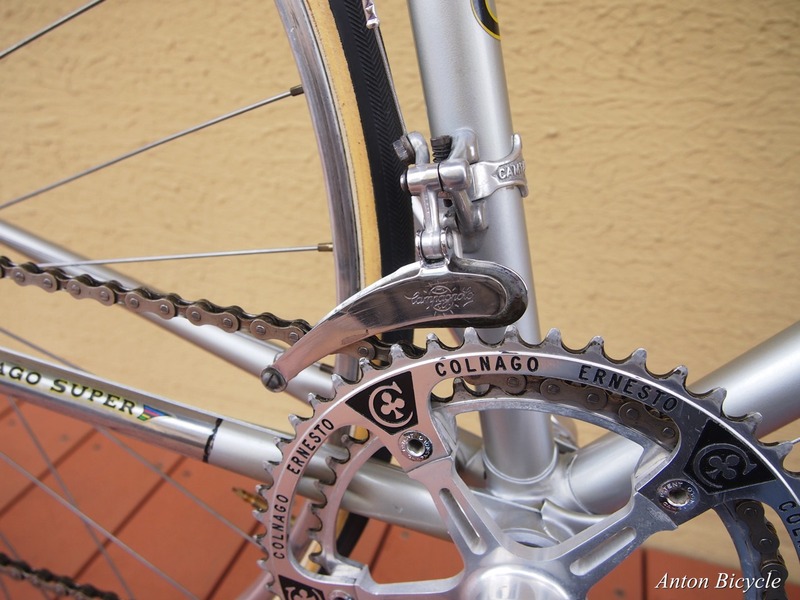 Here's another Colnago Super for your enjoyment.... a 1976 model. 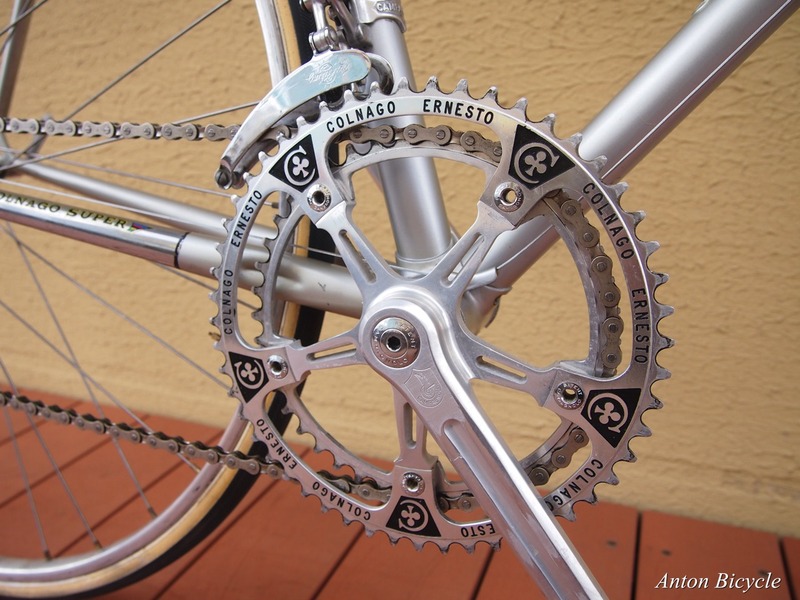 Very neat and all original. 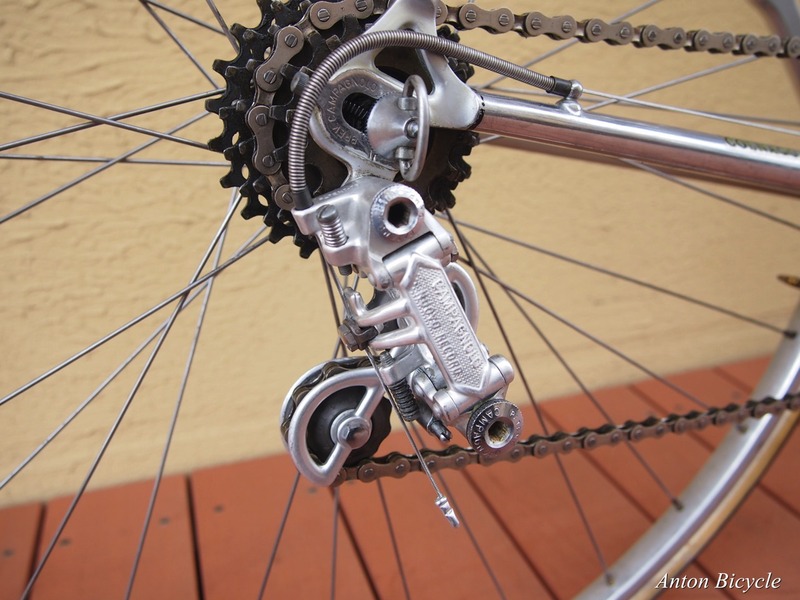 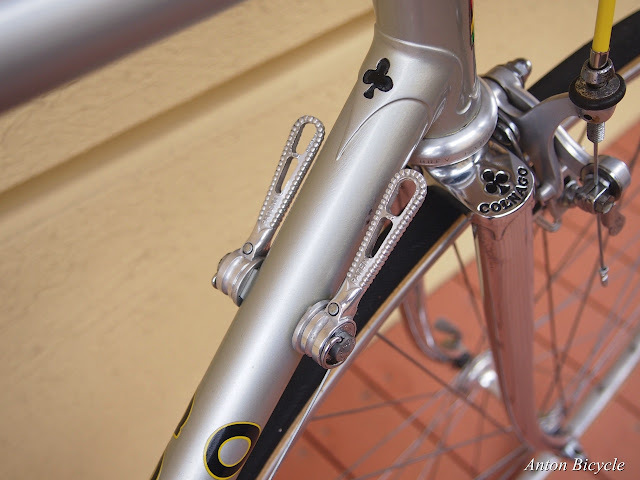 The Ernesto Colnago pantographed chainring is a real feature. 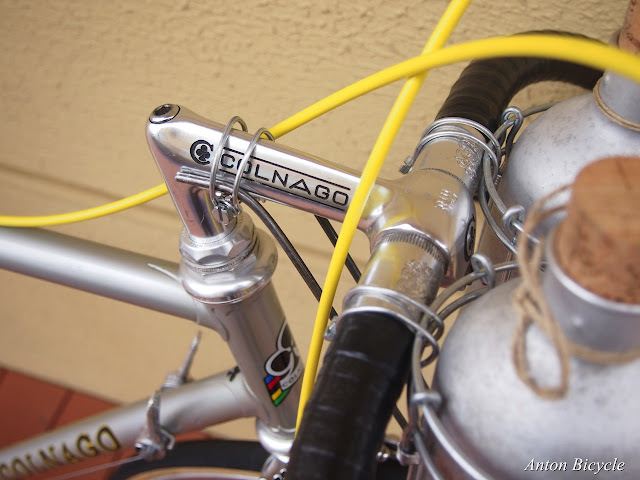 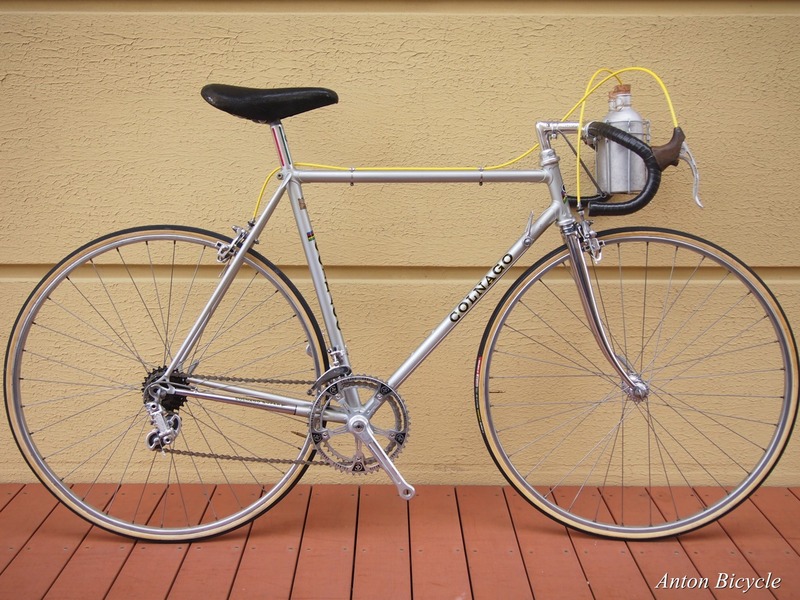 A truly classic Italian steel bicycle that is beautifully maintained considering its age of 41 years. 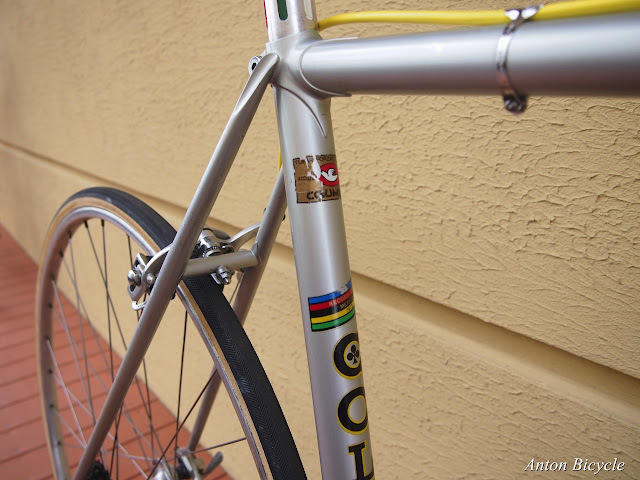 Thanks to Anton Bicycle for the images. Labels: 1976 Colnago Super, Colnago chainring.